Used to tow rail cars with damaged drawbars and couplers and to remove bad drawbars from car body. Ratchet action handle provides ample leverage. 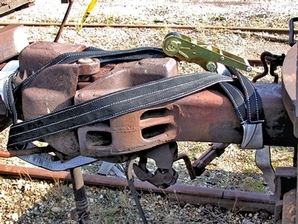 Limit towing to a single rail car.